Designed for read-intensive workloads, the enterprise HK4R SATA SSD series offers excellent performance, high reliability and low power consumption with high quality of service, especially for enterprise and file server use. The HK4R family supports 6.0 Gbit/s interface and is available in large capacities up to 1.92TB. All 7.0mm height models are equipped with enterprise-grade features such as Power Loss Protection. 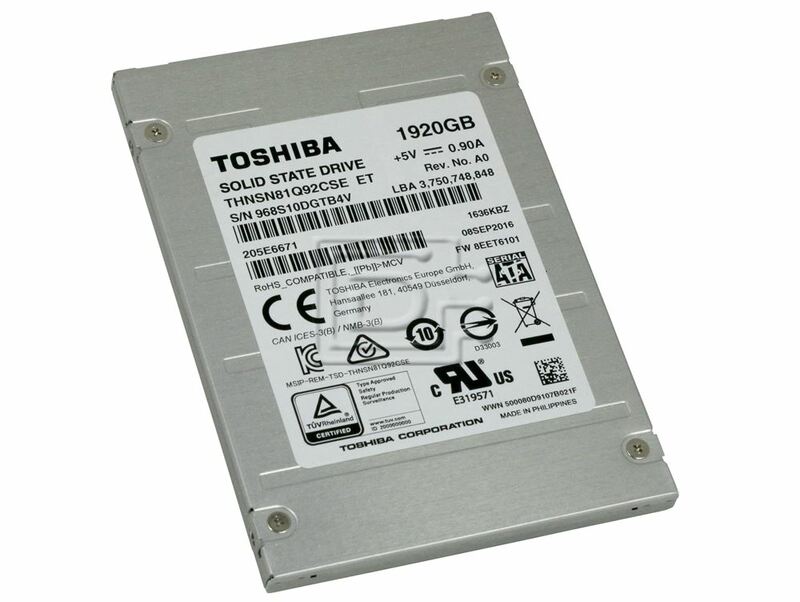 This drive is compatible with laptops that accept 2.5" x 7mm (Thin/Case) SATA drives. Power Consumption (Operating) 4.5W Typ. Power Consumption (Ready) 1.2 W Typ.